Over the last year or so, I’ve been hesitant to open source Mayer. I mean, by default, the theme is open source, but I mean placing it on GitHub. Coincidentally, I’ve never had a problem open sourcing any of my plugins no matter how low-quality they were (at least at the time – I mean, I didn’t know any better!). I still have a lot to learn but that’s a topic for another post. Anyway, so what’s the rub? That is, why is the only way to grab a copy of the source code of open source WordPress themes to purchase them? It kind of feels a little bit anti-GPL doesn’t it (and to be clear, I do not want to start a debate on this)? But the software should be freely available. It’s the support – and the other perks that come with that – that matters the most, right? And I’ve watched other people be wildly successful with open sourcing their work (Pippin Williamson being one of them). To be clear, I’m not attempting yet-another-way to monetize or popularize a theme in hopes of making money. The short of it is that the theme will sell given the right marketplace. If someone wants to freely use the theme, that’s fine – why not? After all, it may result in some pull requests or other issues that will improve the core theme. But those who wish to purchase the theme for the sake of support will still do that – I’ve no doubt about it as I’ve seen it play out in various avenues. The thing is, over the past couple of years, I’ve always had this minor pushback inside me whenever I wanted to open source a theme (or even a plugin) that I’m selling even though the source code can be attainted in other ways. So very logical, I know. If it’s open source, then it will cannibalize sales (which there’s evidence to the contrary that this doesn’t happen). Yet, we enter into a GPL-based economy. I can manage all of the issues and bug reports myself (which assumes users will report them rather than ask for a refund and move on). Yet, we ask for help from beta testers and other users. Why bother selling something if you’re just giving it away for free (despite the fact that this flies in the face of everything the GPL offers us). Yet, this is something that we arguably should be doing anyway. …and more than I’m likely forgetting. The bottom line is that you build the business up around the free software. There a tertiary services that can provide the means for a business other than the core software itself. Besides, I – and any other theme author – has the right to reject any pull request or close any issue that they deem outside the scope, mission, or vision of their project. The thing is that GitHub just makes it so attractive to store, and to maintain, and so easy to publicly share things for others to get in on it. And we know, from many examples, that the open source community is just as collaborative, if not more so, than many other software communities. So when you take all of that into consideration, I think that it’s actually a harder sell to convince me not to make source code freely available. But what does this mean moving forward? As simple as I can make it, I’m going open to throw the latest version of Mayer on GitHub and make it publicly available. On top of that, I’m going to be publicly developing my next theme that will be for sale later this year on GitHub along with documenting the process as I go (at least, that’s the plan). So on February 13th, 2014, Mayer will be available (though unsupported) on GitHub. Paying customers will always get the same level of support they always have, and the theme will continue to be for sold through the usual channels. In the meantime, I’m curious to hear from those of you who have gone this route or who have not gone through route simply because I’m interested in your rationale as to why you have opted to do something (or not do something) and what your experience has been like. That’s a fantastic way to start, Tom. Jump right in. I’ve never had the opportunity to play with Mayer, and look forward to doing so. Thanks for sharing. Yep – looking to have an update out in the next week or so that introduces some new features and fixes a few bugs, as well. Why not ask Theme Foundry how it’s going for them with Make? That’s a theme I use for clients who want more control over layout. It’s unsupported other then Github issues. If clients want more, then Make Plus is available. I know Make has had at least 200,000 downloads – I don’t know how many Make Plus has had, but for an open source, freely available, relatively new theme, that’s pretty fantastic IMHO :). I know you didn’t want to start a debate about whether keeping open-source code to yourself feels a bit anti-GPL, but that’s kind of at the heart of what you’re discussing. I’m not going to argue about what you or I or anyone ought to be doing. But I do want to clarify something about open-source. At the heart of the four open source principles is the issue of control: having control over the processes your computer is running and the freedom to use them as you need. There’s no obligation to give away your code — you simply don’t have the right to restrict how anyone else uses it once you’ve distributed it to them. The GPL isn’t just about the positive, sharing, community side of things. It’s also about the nature of power in software — equally so and maybe originally so. I think it’s great if you and others put the code for a commercial theme up somewhere like GitHub. But I think it’s wrong to say that purchasing a GPL product is just purchasing support. That may be the easiest way to frame the sales pitch to an audience that isn’t interested in the business model behind the product. But I think, at least in the WordPress space, purchasing a GPL product is about investing in the sustainability of the software you rely on. That’s a consumer interest that’s rarely understood by the consumer in our marketplace, but it’s important not to forget it. I know you didn’t want to start a debate about whether keeping open-source code to yourself feels a bit anti-GPL, but that’s kind of at the heart of what you’re discussing. It wasn’t meant to be :). It primarily meant for me to share my rationale for moving my code to GitHub; but I know you well enough to know that you’re all about civic discussion so I don’t mind talking about it further, either. I’m not going to argue about what you or I or anyone ought to be doing. Ah, that’s the tough spot right there. I agree. Let’s avoid that one ;). 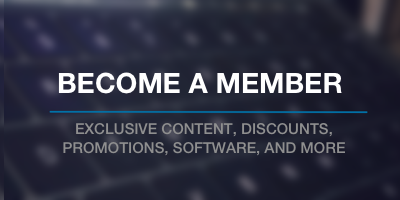 The GPL isn’t just about the positive, sharing, community side of things. It’s also about the nature of power in software — equally so and maybe originally so. Where I see #2, #3, and #4 being the biggest advantages for a theme itself. I personally think the theme landscape is changing, though I’m not claiming that every theme should be doing this. I’m tired of separating a lot of my source code management between tools, bug trackers, and so on. I really like GitHub and their workflows and so this is going to help me streamline part of my workflow in hopes to create better things. I think that’s fair to say – and I’m not trying to be precise is saying that you’re just purchasing support (there’s time that goes into developing the software and so on), but I also tried to hit on the idea that tertiary services can be built up around free software and that’s something I’m interested in possibly doing in the future. This is something I’m starting to scratch the surface of with Conductor. I think for someone like you, well-known advanced WordPress developer with a proven track record (both product and skillset), it’s a safe bet that the github route will benefit you. My gut tells me that someone who is just starting out and wants to prove that they can put food on the table with their products, must prove the business side first. There must be proven track record of the author not only creating the software, but reinvesting into it and innovating on the Core. Otherwise you run the risk of branding it as that free solution you can grab from github (again, not trying to open up the GPL bag) from this helpful author – but NOT from this company that uses this code as the base of something greater. For me, it’s an emotional feeling that I know there’s someone behind it and is willing to improve any shortcomings the software might have. In other words, I’m less likely to fork it (or more likely to purchase it) knowing your commercial product has a roadmap. Oh yeah? I’m interested in hearing more if you opt to blog or chat about it sometime :). Thank you – and I hope so, but my honest opinion is that I’m not going to see much of a difference. My guess is that things are going to remain the same in terms of sales; however, I will likely receive more bug reports, pull requests, etc. that will help go into making a more resilient product. I think that’s an astute observation. I haven’t actually thought about it from that perspective before. No worries about the GPL discussion. And to be clear, I really do think that you’re hitting on something similar to what I was saying where the code is the base for something greater. Businesses are built up around free software and do well. There are numerous examples (take a number of the large Linux distributions, for example). Maybe that’s a cliché example. I know WordPress.com would be – at least in this discussion. But even still, take something that’s open source, modify it to your needs, build up a business around it (assuming that it solves a felt need), and you’ll see a return on the work. I’m oversimplifying to make my point, but I think you get the idea. For sure – improvement via community is something that I think benefits software the most. I’m not against closed source software any more than I’m pro open source software, but I’ve seen the benefits that can come from something like this and I think it’s about time for me to try that route (among other reasons). I am “someone who is just starting out” and I’m all for open GitHub repositories. Obviously I’d love to be able to work full-time in WordPress and support my family only with that work – and that’s part of the reason I’m (currently) open-sourcing everything on GitHub. I want future employers or contacts to easily see the kind of work that I can do, the resources, and connection to the community I have. And that, I think, is more of the point: where in the larger community do you fit? And what impact on and within the community do you have (or want to have)? There’s far fewer places better for learning, isn’t there? Hang in there and keep it up. Blog. Engage with those of us on Twitter. There doesn’t have to be a demand of local WordPress work to find it. Trust me – speaking from experience. I can think of one local job I’ve done in the past three months. The rest were all remote and it’s all because of constantly staying involved with WordPress online and where it’s relevant. Smart. Have you considered remote work? Are you asking me specifically or are you just asking a question that we should all be asking ourselves? Sorry. I can be dense sometimes :). My greatest feat in doing so would be it having an impact on the sales that don’t require support. If people downloaded from Github and then only purchased when they needed help, my sales might remain the same, but my support load would go up. That’s my hesitation with laying it all out there so to speak. My greatest fear in doing so would be it having an impact on the sales that don’t require support. This is something I wavered on for a long time, but then I looking at how sales were doing and tried to identify the signals I’d noticed in a year long pattern and this is something that I’m willing to try to do. If people downloaded from Github and then only purchased when they needed help, my sales might remain the same, but my support load would go up. That’s my hesitation with laying it all out there so to speak. This is a really thought-provoking post. As a business, when you open-source your code that you previously were selling as part of your initial business plan, you’re no longer a software company; you’re a service/support business. Open-sourcing your flagship theme/product is something I personally would want to be SO careful with, but it’s hard because either it is or isn’t. Just because Pippin and some other have a business model that’s worked according to plan for them doesn’t mean it’s going to work across the board for everyone in every situation. There are a lot of dynamics that may be the reason for their results, including some that aren’t replicable, like the timing, their exact market and marketing strategies and capabilities. I suppose it all depends on your goals for your business and plan to earn sustainable revenue. If sales of Mayer is your bread and butter, you may be killing your business. Are you getting so many support requests for Mayer that Pressware can exist on relying on the public wanting and willing to pay just for that? If so, why are you getting so many support requests for a theme, which should be simple to use and as bug-free as possible? As a business, when you open-source your code that you previously were selling as part of your initial business plan, you’re no longer a software company; you’re a service/support business. This is true however selling WordPress themes as they currently are right now are largely support and services. This isn’t to say there are opportunities for closed source upsell, though. For example,, I think of theme extensions, child-themes, and so on. Those types of things can still be upsells once yo have the core product. But anyone who thinks that you aren’t coming back to support at some level is kidding themselves. People have questions on how to use things and that’s what we’re here to provide (well, I mean, above the code itself :). Just because Pippin and some other have a business model that’s worked according to plan for them doesn’t mean it’s going to work across the board for everyone in every situation. I agree. I hesitated to use him as an example because it comes off like a hasty generalization. “Pippin did this, therefore everyone should do it.” I try to make decisions that are far more educated than that and that are based around purposes and goals that I have internally set and this seems to make the most sense for where we’re headed in the coming months. I’ve wound down the Pressware blog in an attempt to ready ourselves for what I want to do in the coming months, but I’ve been poor about communicating that. Mayer ended being a good thing, but I learned a lot of lessons from it and something I’d love to try from it. But I’d be remise to say if I wasn’t at least inspired by his business model. There are a lot of dynamics that may be the reason for their results, including some that aren’t replicable, like the timing, their exact market and marketing strategies and capabilities. I suppose it all depends on your goals for your business and plan to earn sustainable revenue. If sales of Mayer is your bread and butter, you may be killing your business. Mayer is but one offering we have right now (there are two more, maybe three, in pipeline) and I have a strategic plan for each of them. It’s going to be a little nonconventional, but I’m okay experimenting. Just as we can try to change course in this direction, we can always change the course back to where we had it. As far as killing the business, I’m not worried about it. If anything, it may kill this side of the business for a short time (but based on the research I’ve done, I don’t think that’s going to happen). Pressware is both services and products. There’s no shortage of services right now so I don’t worry about anything negative happening to the business. Indeed it is and I always absolutely dig the comments you leave because they cause me to further evaluate my stance on things. So I’m glad you left the comment. I never even thought about creating a theme and having it on GitHub and then selling support from my website. Really awesome concept actually. I love this step and cannot wait to hear how this turns out for you. I think I’m going to start slow with one variation of a theme – namely Mayer for WordPress.com. I made a few missteps that I’ve learned over the past year regarding WordPress.com and WordPress.org and I want to reign that back in a little bit and see what I can do in order to make it a bit smoother of a transition to go. For sure – I don’t subscribe to “what works for one works for everyone,” but I’m definitely interested in seeing about what we can do to try to go a little “more open source” than we already area. I need to lean some of Pressware’s offering out and now – given the lessons that I’ve learned from others and from just one year of running a shop on my own – this seems like a good time to do that. Stoked to have you chime in on this, Pippin. There are lot’s of good points in the article and in the comments, thanks for all. May I put my spoon in the soup also (do you have that saying in english?). I put my commercial theme in Github in late February 2014. And my latest Easy Digital Downloads add-ons in January 2015. After Github release theme sales are about 4000+1300=5300$. That counts .com and .org version. Before Github release sales were pretty much zero but WP Tavern were kind enough to write about my experiment. That gave some sales. Naturally .com sales live their own lives and Github probably doesn’t play any role in the sales. I had several reasons why I opened commercial products for everybody, I just can’t remember what they were:) Okay, I’ll try. I’ve got nothing to lose. I still have my day job as teacher. Other devs can see the code and report ideas, pull requests, issues. With Pippin we already made some cool stuff supporting one another plugins. I trust the WordPress Community that they (or client) will pay the license if they use the plugins in live site. 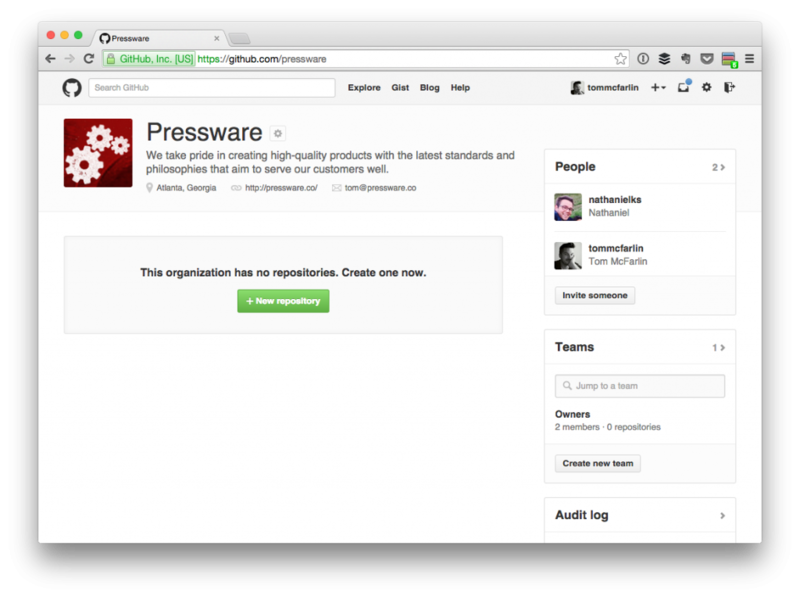 It would be nice experiment to put Github repo in private mode and check does it have any effect on sales. I put my commercial theme in Github in late February 2014. And my latest Easy Digital Downloads add-ons in January 2015. After Github release theme sales are about 4000+1300=5300$. That counts .com and .org version. Before Github release sales were pretty much zero but WP Tavern were kind enough to write about my experiment. That gave some sales. This is interesting to share – and props to Tavern for sharing the information on this – I’m looking to start off by just releasing Mayer For WordPress.com on GitHub and then go from there. I may end up taking a break from self-hosted themes. It’s really going to depend on feedback and demand, so we’ll see how things fair over the next few quarters or so. Naturally .com sales live their own lives and Github probably doesn’t play any role in the sales. This is something I’ve hypothesized but it’s something that I’m eager to see play out. I nothing else, I’m looking forward to centralizing a lot of the tools that GitHub offers for managing issues, pull requests, milestones, etc., in order to kind of help take the pain out of several of the services that I have right now. Smart. For me, this is opening a second branch – or rather refining a certain branch of the business. Right now, I have the services branch which is custom builds, code review, and consulting, and then there’s the product side. I think many in the open source world would agree with this. Bingo – I really like this. Some will, some won’t. That’s the nature of humans, I think. I wouldn’t say it’s famous, but I enjoy your comments and it’s really provided a lot of thought-provoking stuff here that I’m looking forward to trying out :). I may do this with .org. We’ll see. I’m not sure yet. Haven’t really planned that far in the future. Hi Tom. I’ve been debating this as well with DevPress themes, so I’m interested in how your experiment goes. I believe public open source with private commercial add-ons can do really well. Easy Digital Downloads and WooCommerce are great examples of this model. There’s hundreds of free “light” themes in the wordpress.org repository (including “Make”) that use a “freemium” model. This gives customers a chance to try out the product, developers are able to contribute to the core code base, and the companies behind these products are also able to bring in the revenue they need to support them with the extensions and upgrades. Although I’d hope all of these products would be successful without the paid add-ons or pro versions, I think it’s really difficult to ask people to act against own personal economic self-interest (buy something they can get for free). Perhaps an additional option for Mayer would be to make the code public, but unlock a few additional features when a valid license key is entered. Developers can get around this easily (of course), but creating a minor pain point might be the nudge people need to actually purchase. Even NPR hands out tote bags and coffee mugs to encourage listeners to pull out their wallets. I’m eager to blog about it once we get started doing it. It’s probably going to be a few months, and it’s probably going to be very slow going but I’m eager to track with it and see how it does. I believe public open source with private commercial add-ons can do really well. Easy Digital Downloads and WooCommerce are great examples of this model. There’s hundreds of free “light” themes in the wordpress.org repository (including “Make”) that use a “freemium” model. This gives customers a chance to try out the product, developers are able to contribute to the core code base, and the companies behind these products are also able to bring in the revenue they need to support them with the extensions and upgrades. I agree on this, too. I’m a big fan of Make and the Make model (and have even purchased it for a project some months ago) so I’ve been happy to see how it’s performened. IIRC, Make has been downloaded 200K times. I don’t know how many converted into Make Plus, but even a small percentage would be worth it! I know. This is the one part of open source that I think can always cause a conundrum. Exactly. I’m thinking of doing something like making Mayer for WordPress.com the default purchase with the version for .org (that has a few extras) worth the upgrade. It’s just gotta be up to what the person will be willing to pay. I would not put a commercial product on a public GitHub repo because the code and updates should be sold and not support. By putting a commercial product on a public repo then you remove the need for updates and the code. When I would sell a product I would look to reduce the need for support by making the product easy to use and create clear documentation. The remaining support should be bug reports and administration questions. Customization help is something else and could be sold as a separate service. My solution would be to give only customers access to a private repo on request as it most likely be customers who want to contribute and not just anyone. Tom, you should have even a solution from the 8Bit days where people could request access to the organisation. they are building a site for client? @Sami – How many developers donate something to free plugins on w.org ? I expect the number to be quite low. I do not want to build a company around hoping to make money out the goodness of peoples hearts. What would you tell a user if they asked why the the plugin/theme is available on GitHub for free but you are selling it on your site? I am genuinely interested. I think the point that you make about updates make a compelling case for selling a version that can be updated. I’d not considered that before; however, there are a lot of users – the average user – who aren’t going to know how to go about purchasing upgrades just based on, say, GitHub tags alone so I think there’s some opportunity there. I couldn’t agree more and this is something that I’m not only looking to do with a theme but with the Plugin Boilerplate, as well. Yes – and I’ve tried a similar route like this back with in 8BIT and it’s so-so. I don’t know if this is something that I want to get into or not. We’ll see how this grows organically. My solution would be to give only customers access to a private repo on request as it most likely be customers who want to contribute and not just anyone. Hm. This is a point worth considering. Thanks for bringing this up. Tom, you should have even a solution from the 8Bit days where people could request access to the organisation. Good memory, man. I do have this on file :). Looking forward to the release Tom. I love the simplicity of your theme, kinda exactly what I’m looking for since it’s so similar with my current layout, minus the responsive part. Hope I’ll get to play around soon. It won’t be long – I’m getting excited to share it with everyone. I’ve not done something like this before and I’m eager to see how it plays out. There will obviously be a blog post to accompany to the launch to keep on the look out for it :). Next PostNext Disabling Post Comments on WordPress: Why?